Raga Designs works with lovely fabrics and ancient traditional dying techniques. Timeless cuts inspired by India but updated in order to be in phase with today’s trends. This winter quilted tuniques and jackets in silk and cotton or wool and cotton. 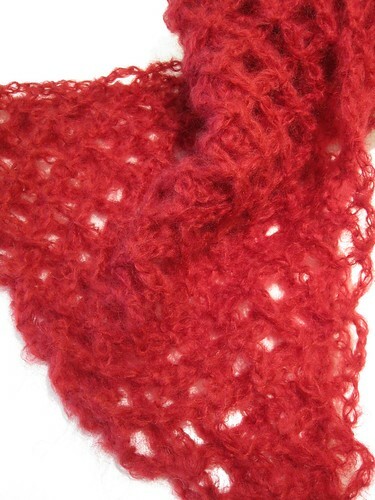 Scarves in wool or pashmina in beautiful autumn colours. 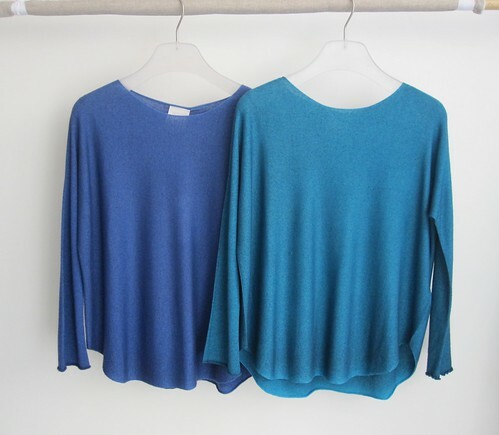 A very nice collection of 100% Baby Alpaca pullovers - V neck, or round neck in a wider shape. Warm and confortable jackets. 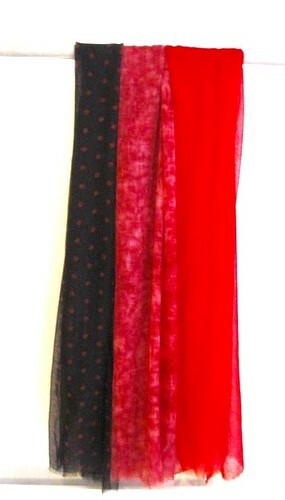 Long cardigans, caps and scarves in which to wrap oneself during winter. 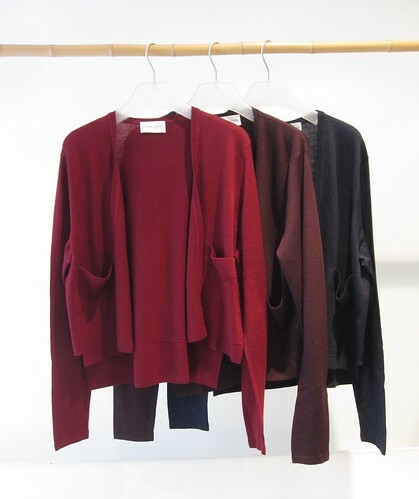 Lighter cardigans and sweaters in cotton and cashmere. And always shirts and t-shirts in a soft and silky organic cotton. A modern and ethical collection. Launched in 2005, this pretty line of clothing combines know-how with social and environmental concerns. Called "Roots of Heaven" as a tribute to the novel written by Romain Gary, it combines its philosophy with a timeless style; the ever fashionable quality clothes that we like to wear all the time, stylish clothes which are like a second skin. Specialized in luxury t-shirts in beautiful, natural materials, Majestic has developed for autumn/winter, a very soft cotton/cashmere for modern and casual basics that you will love wearing every day. This winter, wide shapes, printed designs, V necks, round necks, turtle necks, for all tastes! 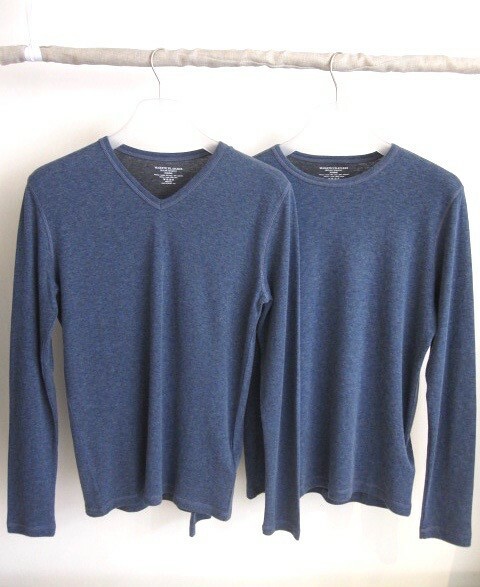 Single layer 70% cotton / 30% cashmere or double layer with cotton inside and cotton/cashmere outside. 100% silk t-shirts in a beautiful emerald green or red currant. 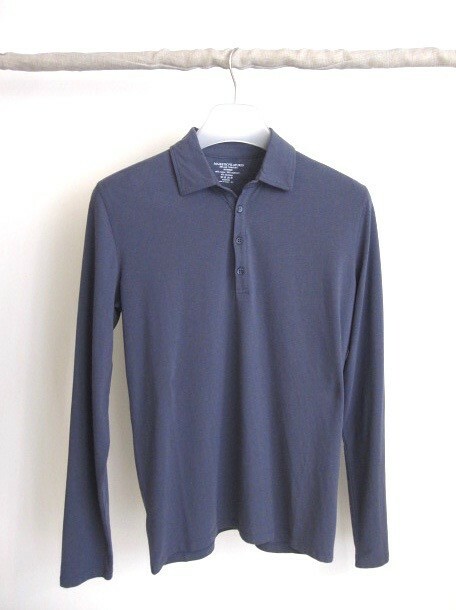 Cotton/cashmere menswear t-shirts, single layer or with the inside in 100% cotton and the outside in cotton/cashmere. 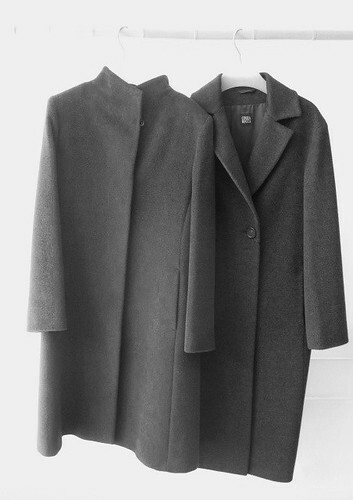 Ziped cardigans in this same combination inside/outside, thin and light like a second skin. The must of comfort for Autumn/Winter! 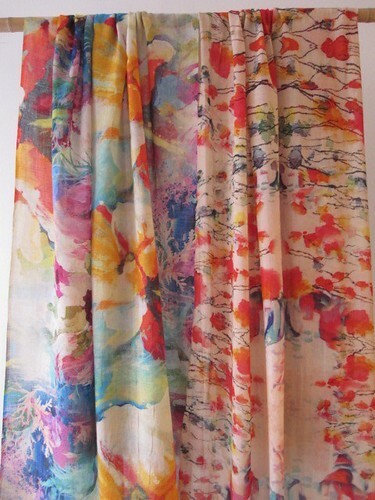 Magnificent organic silk stoles, hand woven and printed in vibrant colours. Contrary to common production, the cocoons of these silkworms are raised in the open air and are not steamed for collecting the thread. 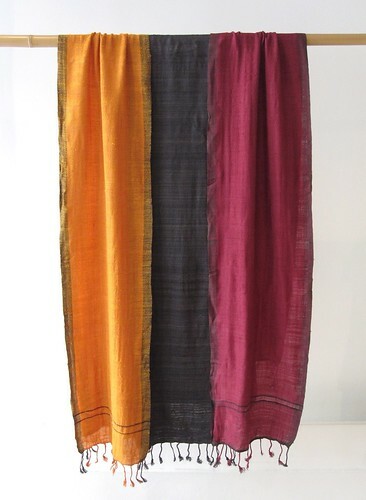 The spinning, weaving and printing are all done by artisans in rural areas of Northern India. The Victoria and Albert Museum in London has also been seduced by these stoles! 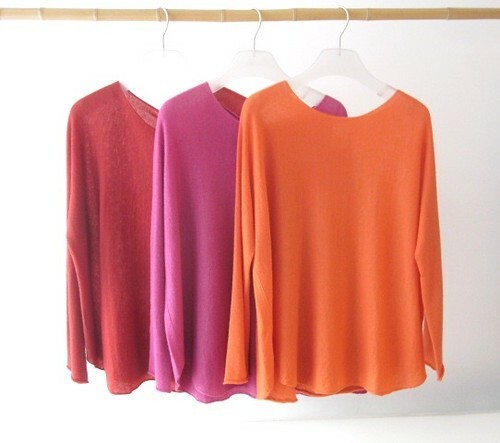 Cashmere sweaters for women, very soft and lightweight. Loose fit and flatering colours. 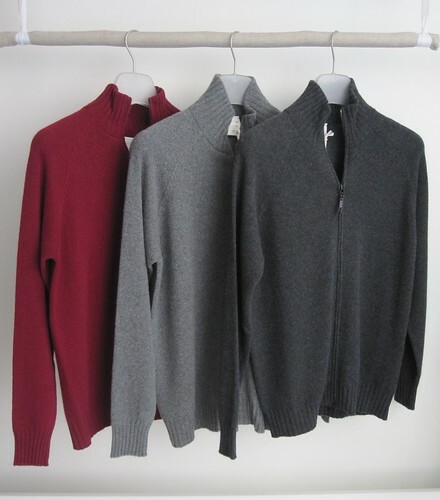 3 ziped cardigans for men, 95 % cashmere 5 % wool. 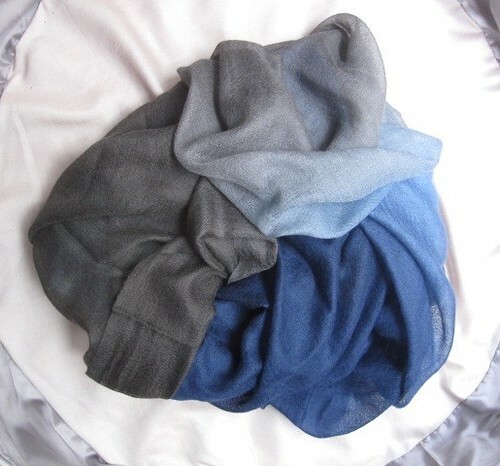 Warm, soft and lightweight! Made in Italy. 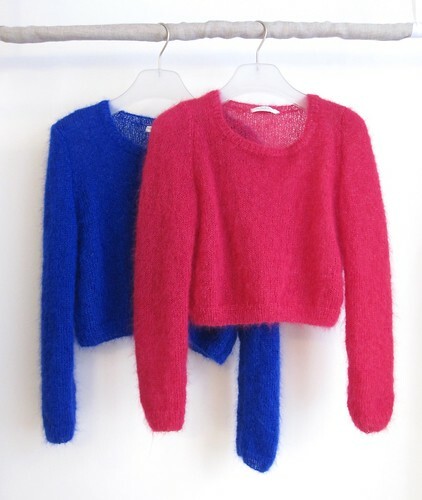 Beautiful sweaters in 100% yack hair, as soft as cashmere. 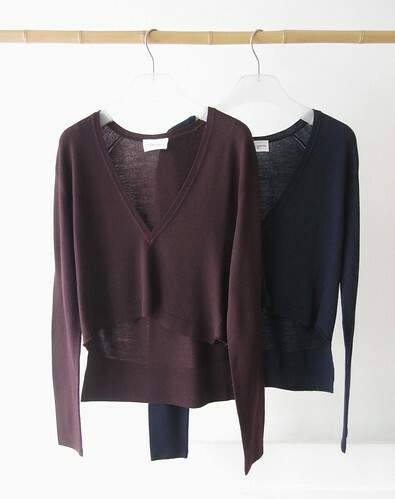 Cashmere and silk long boat-neck sweaters. 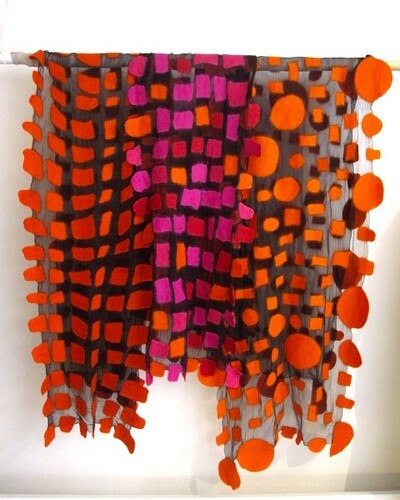 Maxi bicolour stoles 100 % wool in lightly felted knit. 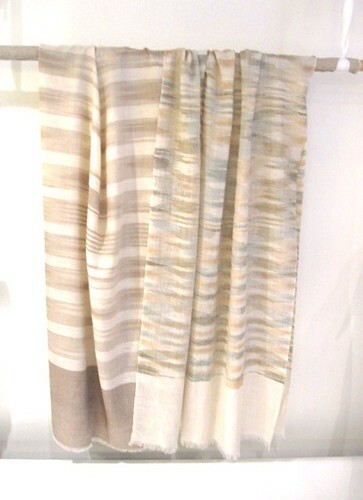 100% cashmere very light, hand-woven stoles. 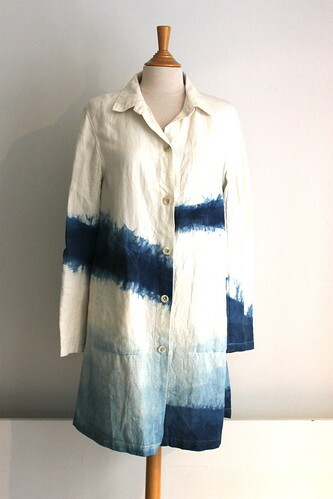 Shibori dyed or with patterns. Weaves and Blends, a Nepalese company, brilliantly combines modernity with ancestral know-how. Soft and romantic sweaters, frothy and colourful accessories, made of mohair and silk, hand knitted, created in an ethical and ecological perspective by French producers and artisans. 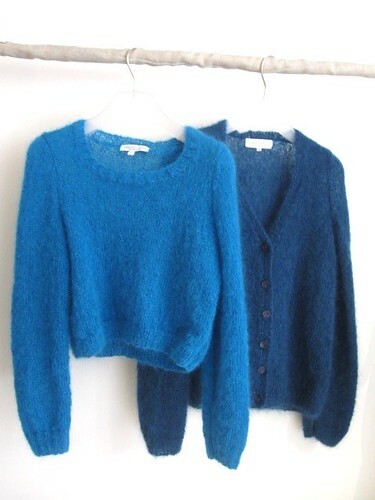 Klein Blue, Pansy, Pomegranate, Pumpkin, Opal, Mint, Fuschia, Ash Pink, Night Blue: bright and intense colours, which can only be brought out in mohair. Snug sweaters for winter, soft and fluffy, ethereal stoles, mittens, collars and woolly hats. 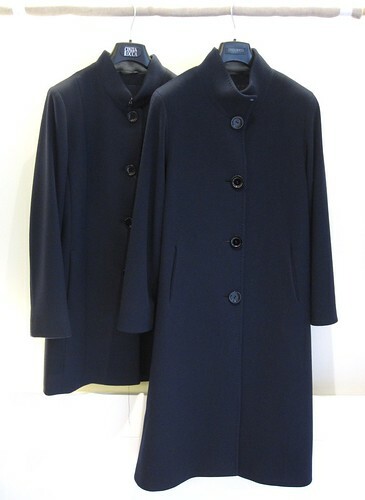 Superb coats made in Italy. Perfect cut. Wool, wool and cashmere, wool and alpaga. Very good-value for money. 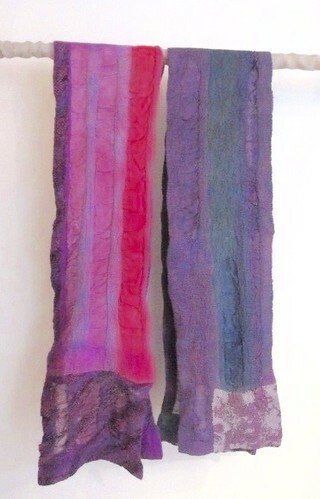 Felting work on silk «mousseline». Geometrical designs and cheerful colours! A good dose of vitamins to have around your neck this winter! Technical mastery, wealth and freedom of creation, the felt clothes made by Françoise Hoffmann are seductive because of their sophistication. 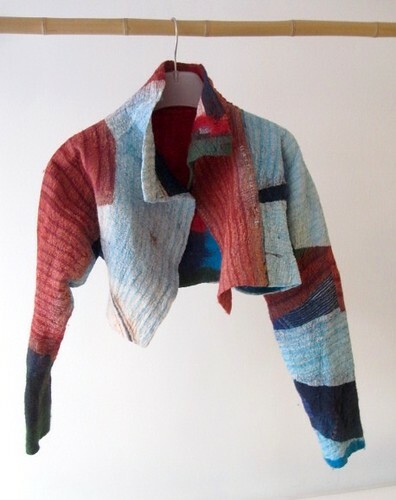 Silk embossed on felted wool, unique creations, transparency effects, juxtaposition of materials, Françoise Hoffmann has been fine-tuning her technique for years and was appointed Master of Art in 2008. This winter, photos and texts printed on silk for jackets and a wide range of scarves and stoles. 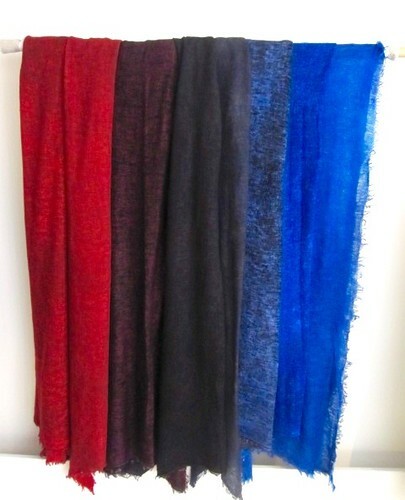 Very fine cashmere stoles, light as a veil and soft as a caress. 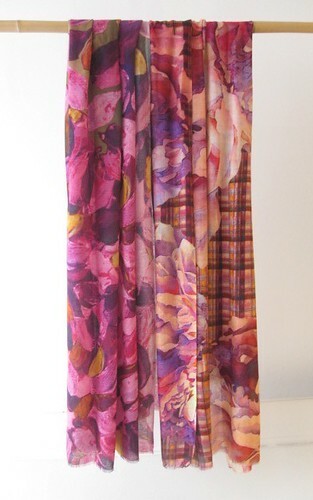 Beautiful plain colours or digital prints with intense colours or subtle autumn harmonies. 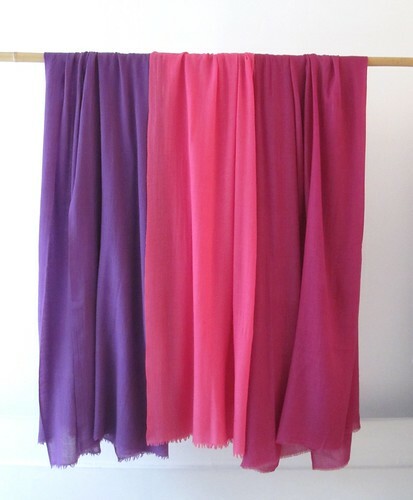 Cashmere and silk stoles. Shorts litttle cardigans and pullovers crossed in the back. Long cardigans and oversized V-neck or buttoned sweaters. 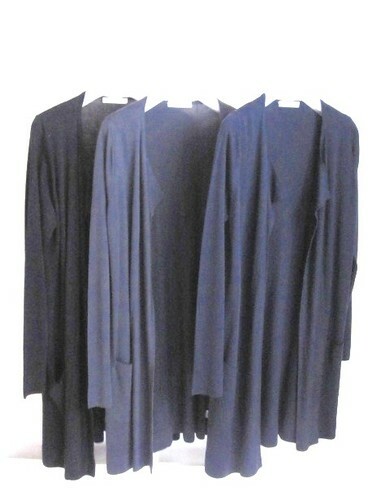 Everything in merino extra-fine wool, that has a beautiful and elegant drape. 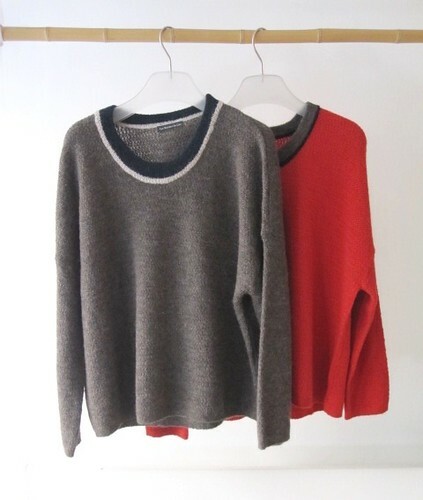 Nice oversize sweaters in cashmere. A very good quality of clothing by a French brand specialized in knitwear. Avani is an NGO which seeks to develop self-reliance and local know-how in remote villages in the Himalayan mountains. Their magnificent stoles and scarves in wild Muga silk, or in silk and wool, are dyed naturally with plants in subtle harmonies of colours. The artisanal dye workshops are heated by solar energy. A great project and superb products. 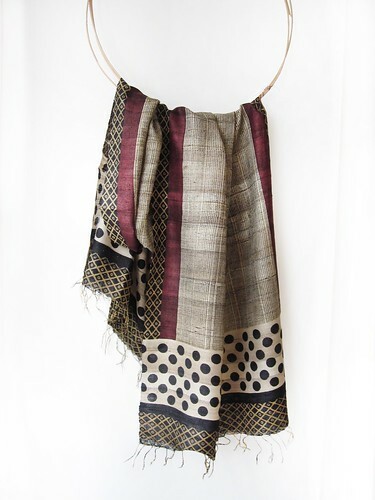 Wool and silk stoles, woven in India on hand-operated looms, made with respect for ethical and ancestral know-how. 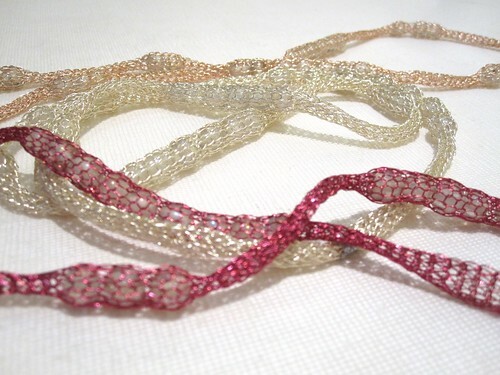 Delicateness, softness and shimmering colours. 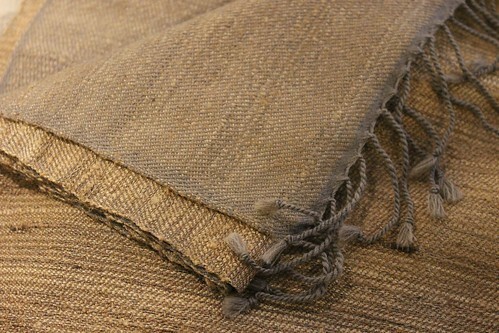 Pashminas hand spun and woven by craftsman in the Kashmir Valley. 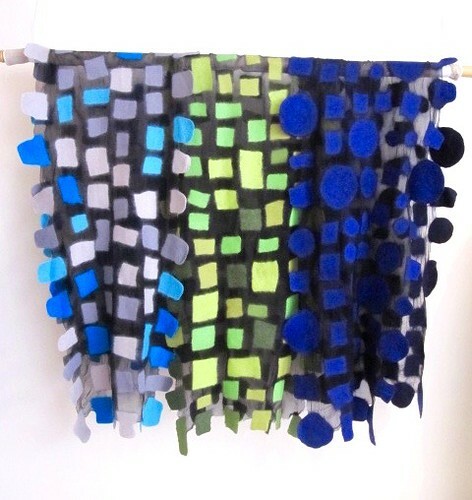 Charlotte Kaufmann, textile designer, passionate about research, works in close collaboration with Mir Art Gallery to developp a small collection of stoles using the local know-how while modernizing the aesthetics of products. Jemala was born of Ian and Phyllis Gill’s passion for wool. Their farm in Australia produces the finest Merino wool in the world - 14 microns, for incomparable lightness and softness. An exceptional product, this fibre is then transformed in Northern Italy, the cradle of traditional worsted wool and then woven in India, in the Amriitsar region, by the only artisans capable of weaving such a fine thread . 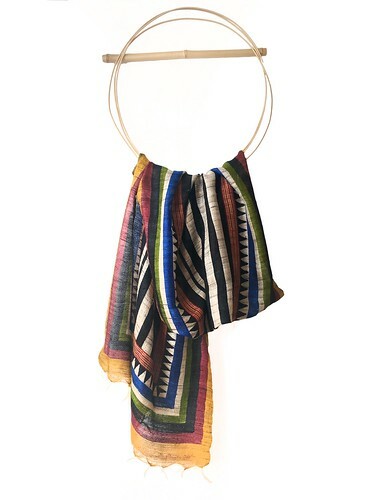 Jemala, in collaboration with an Australian designer, has created a remarkable stole dyed with plants from the Australian desert. A specialist in rare animal fibres, blanket-maker in l’Isle sur la Sorgue near Avignon, Brun de Vian Tiran has been carrying on a more than 200 year-old family tradition. Stoles and scarves made from Baby Lama, Baby Camel, Cashmere, Yangir and Antique Merinos from Arles provide incomparable quality and feel. 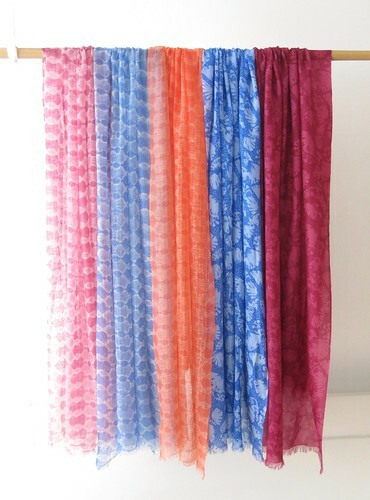 A must: Baby Lama scarves at 105 € - a comforter for winter! 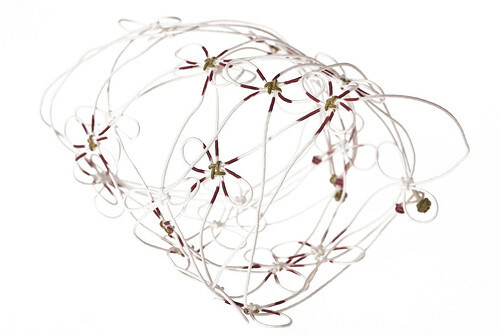 Working with metal wire knit, volume and transparency, Diana Brennan’s research is now developing around jewellery and ornaments, and is turning her necklaces into starry skies, across which a few asteroids travel. 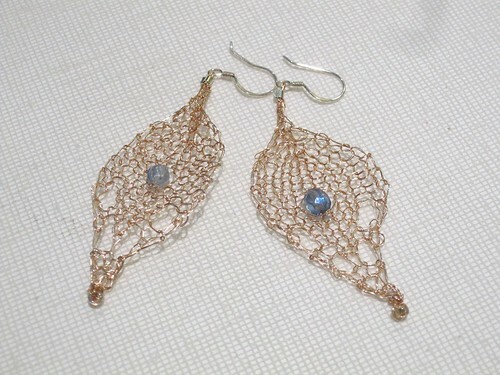 Necklaces in metal wire, pins and earrings with glass beads. She exhibited her «Moon dresses» at the Galliera Museum and was part of the first «Circuits Bijoux». 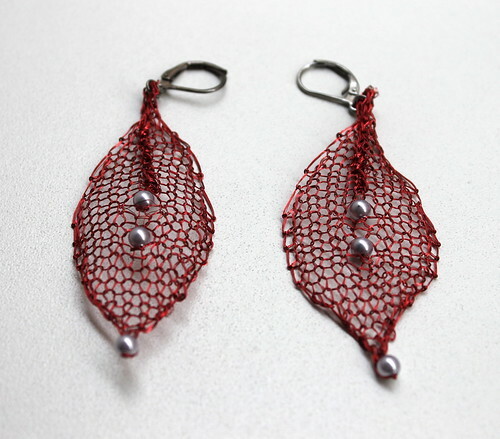 Poetic jewellery and airy ornaments, hand-made with Korean knots, using one single thread from beginning to end, her works play with volume and depth, space and density. Light passes through them, allowing us to perceive their sophistication. Nice Dragon flies bracelets for the summer. 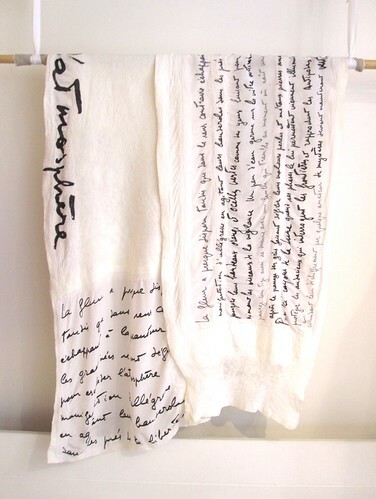 Winner of the City of Paris’ Grand Prix for Creation - Crafts Section-in 2005, Aude’s work is exhibited in numerous museums and galleries all over the world. She took part in the last « Circuits Bijoux » with a wonderful wedding dress exhibited at the Fine Arts Museum in Paris. Exquisite collection of Japanese organic cotton towels in pastel colours, dyed with plants. From babies’ bathrobes to small hand towels. Delicious artisanal soaps, with no artificial colouring or parabens, 100% vegetable, perfumed with mountain or chestnut milk, spices and coffee, rose scented argan oil, jasmin scented camelina oil, cactus and citrus extract. 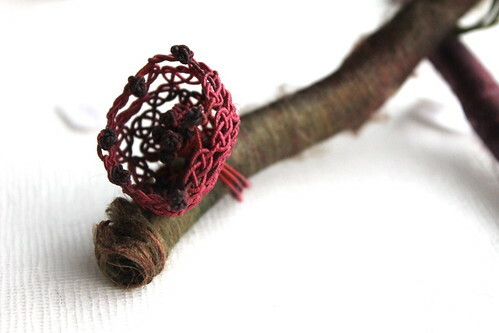 Those perfumed with organic chestnut honey are wrapped in pretty recycled paper and stitched with white thread! Black tea, Orange blossom and Verbena for nice perfumed gifts! Pretty linen articles, fresh and timeless, chic and casual. White, blue and red shirts, summer dresses, tunics. Linen or cotton trousers with a little elastane for comfort. Made in Italy, in a family-run business, committed to ensuring the excellent quality and modernity of its production. 100% linen shirts in beautiful washed-out tones, deep blues, lagoon, indigo. 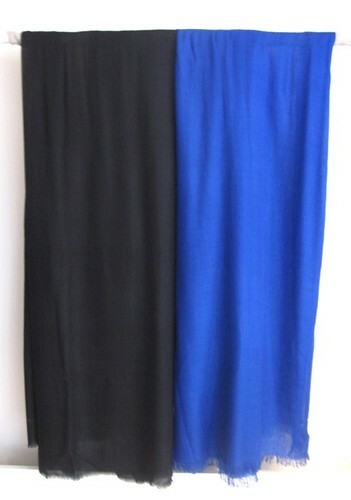 Long and ample skirts for summer, sleeveless dresses. Slightly shiny linen knitwear for a loose and very chic t-shirt. 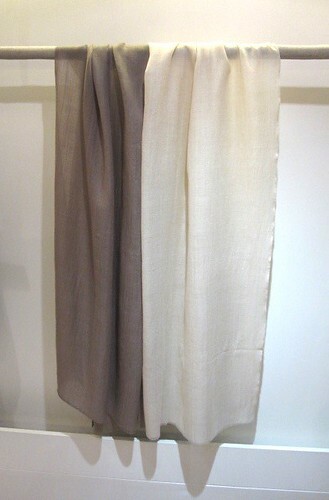 Narrow trousers in a blend of linen, cotton and elastane. The work on linen and colour for the beauty of the fibre and the Italian manufacturing for the quality of the making. Designs works with lovely fabrics and timeless cuts inspired by India. Long shirts and short jackets in silk, cotton, cotton and silk in beautiful gradient colours. Ample loose cotton and silk shirts and dresses in shades of greens and blues, ultra-lightweight and delicious to wear when the weather is very hot ! A navy blue dress and shirt in woven cotton, ikat dyed. 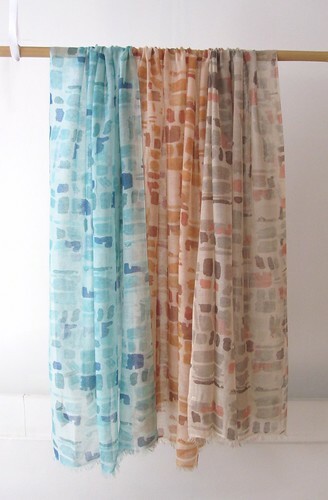 Scarves in cotton and silk. Launched in 2005, this pretty line of clothing made of organic cotton and knitted linen combines know-how with social and environmental concerns. Called "Roots of Heaven" as a tribute to the novel written by Romain Gary, it combines its philosophy with a timeless style; the ever fashionable quality clothes that one likes to wear all the time, stylish clothes which are like a second skin. Very good value for money for sophisticated t-shirts in superb, very gentle fabrics, organic cotton, Egyptian organic cotton, linen knitwear. 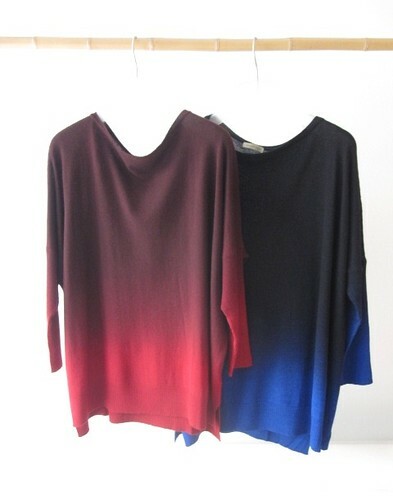 Silk pullovers with a « lamé » coating. Very fine linen knitwear made exclusively in Europe. Dresses, « marinieres », t-shirts and tank tops in 100% linen, linen and silk, linen and elastane, cotton . For all tastes and all shapes ! Sleek styling for modern and chic basics, elegant and timeless. Dresses, skirts and shirts in 100 % linen and trousers in linen an silk. Designed and made in Lithuania, this brand offers comfortable and timeless pieces. superbly finished and with beautiful buttons. A selection of Menswear linen t-shirts made exclusively in Europe. Linen and elastane, linen and silk or 100% linen. 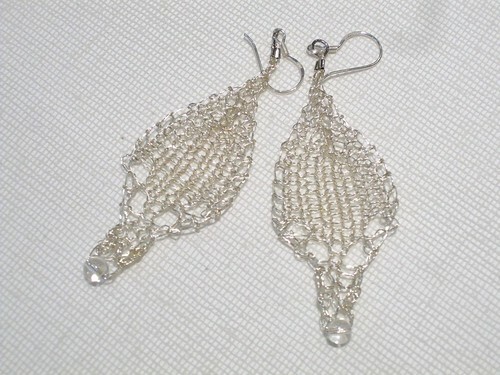 The nicest and coolest fibre to wear in summer ! Nice little printed sweaters 100% cotton. 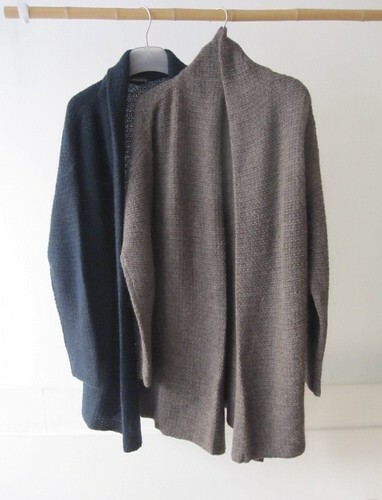 Beautiful « oversize » sweaters and long 100% linen cardigans. Shirts, wraps and printed t-shirts, 100% linen. French brand, specialized in knitwear. Quality of materials and manufacturing. 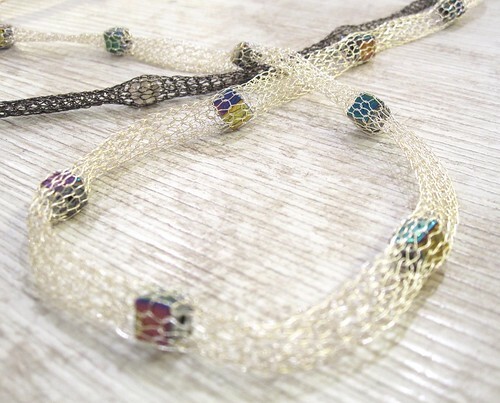 Work on metal wire knit, volume and transparency, Diana Brennan’s research is now developing around jewellery and ornaments and is turning her necklaces into starry skies across which travel a few asteroids. 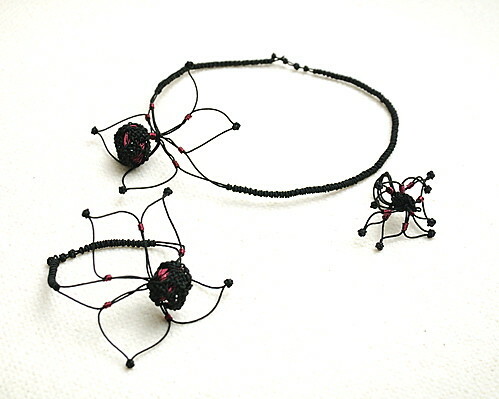 Necklaces made of metal wire, brooches and earrings with glass beads. 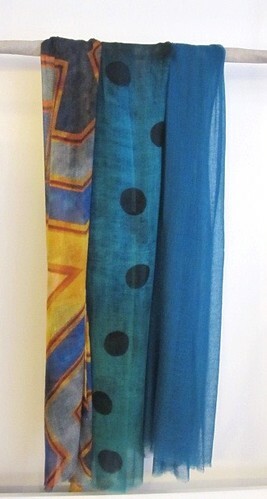 Magnificent organic silk stoles, hand woven and printed in vibrant colours. Contrary to common production, the cocoons of these silkworms are raised in the open air and are not steamed for collecting the thread. 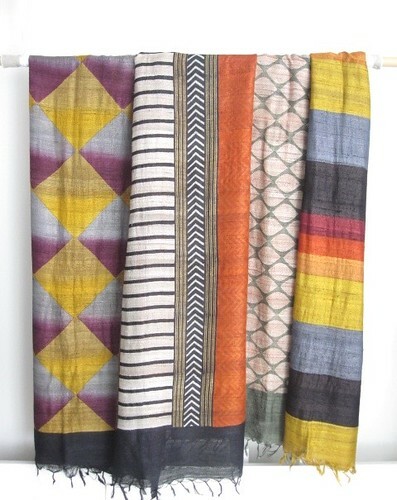 The spinning, weaving and printing are all done by artisans in rural areas of Northern India. The Victoria and Albert Museum in London has also been seduced by these stoles ! Fresh colours and floral designs for summer. 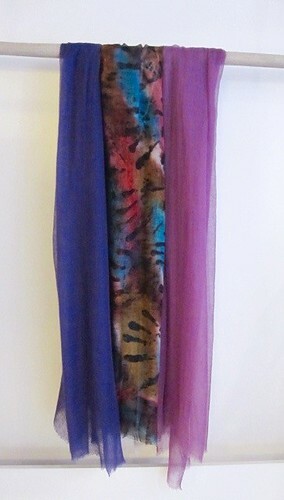 And large, fine, lightweight stoles in printed silk. Very fine, very soft cashmere stoles in summer colours - fuschia, turquoise, saffron, orange, red, indigo, emerald, ochre and white… – for dressing lightly ! 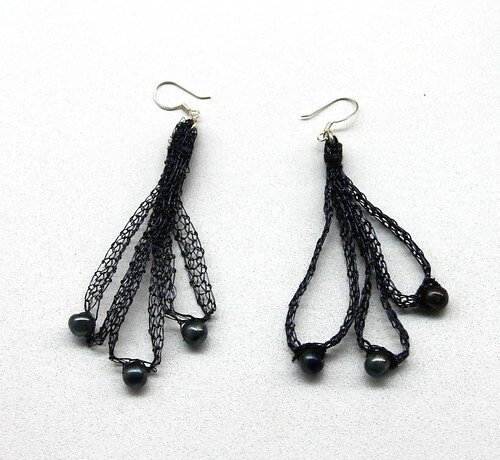 Poetic jewellery and airy ornaments, hand-made with Korean knots, using one single thread from beginning to end, her works play with volume and depth, space and density. 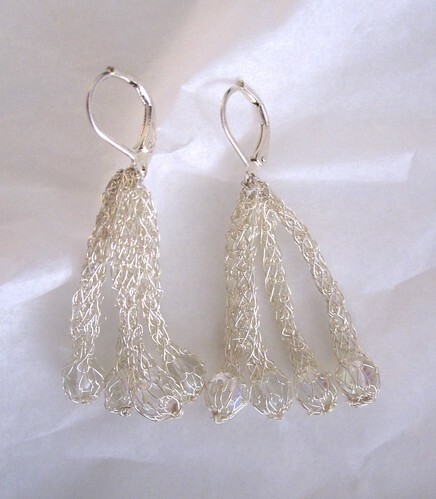 Light passes through them, allowing us to perceive their sophistication. 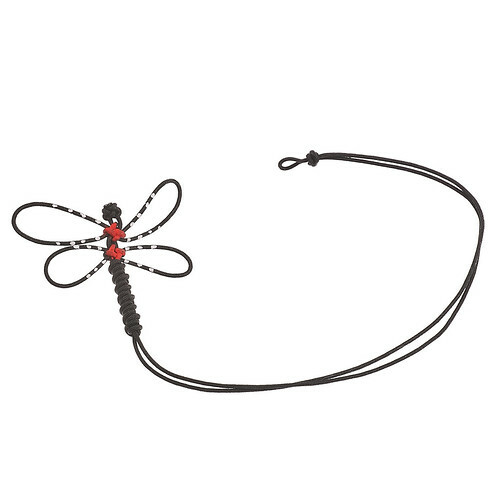 Nice Dragon flies bracelets for the summer. 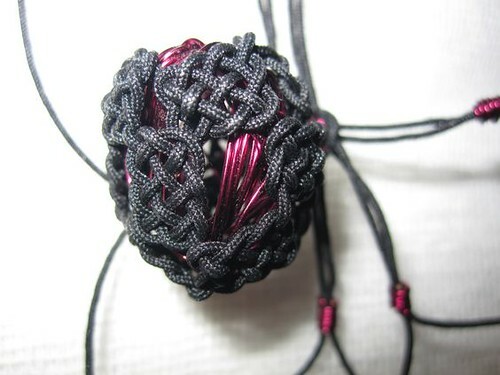 Winner of the City of Paris’ Grand Prix for Creation - Crafts Section-in 2005, Aude’s work is exhibited in numerous museums and galleries all over the world. She took part in the last « Circuits Bijoux » with a wonderful wedding dress exhibited at the Fine Arts Museum in Paris. 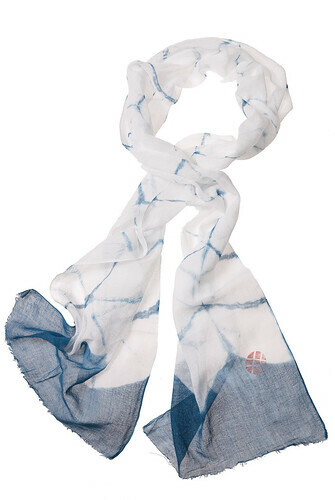 Linen scarves dyed with natural indigo, or organic pigments, 50 x 170 cm, for men and women. 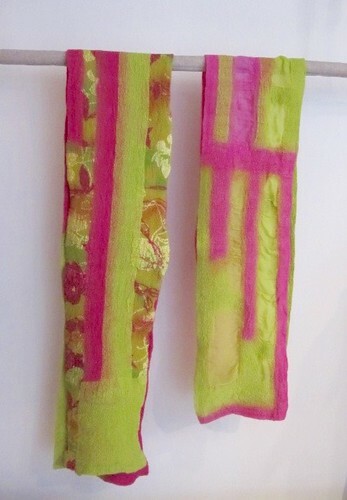 Organic cotton scarves dyed with organic pigments, 42 x 162 cm. 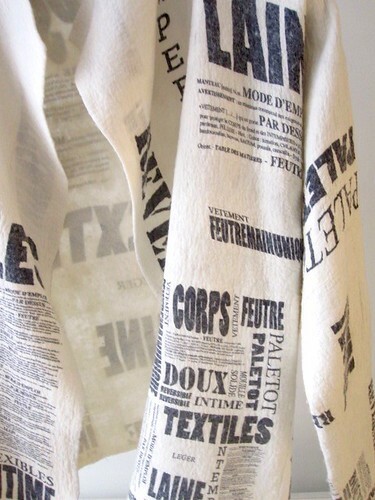 Linen stoles hand-printed on a frame. Revisited floral designs, inspired by Jouy prints, 80 x 200 cm. 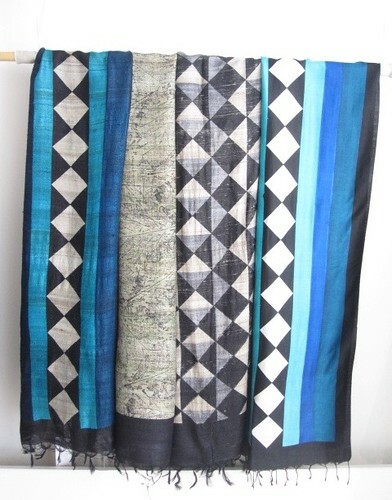 Stoles and scarves in very fine linen, woven and hand-dyed by Indian artisans – indigo, ikat, shibori, block print or batik prints, with pretty delicate fringes, stripes and edgings with golden threads or simply using contrast. And a small series of batik on Khadi cotton in gentle and bright colours. A hemp coat, hemp voile stoles, kimonos for the newborn and cotton voile scarves. 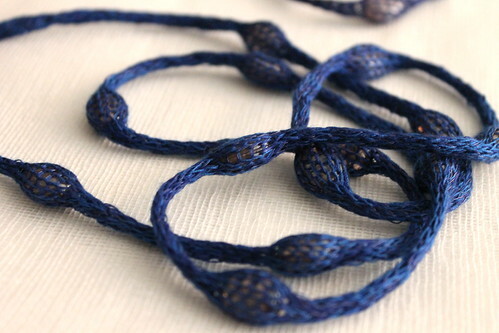 Natural fabrics hand-dyed with indigo. Betty de Paris gives new value, with a contemporary approach, to this five thousand year old Art of dyeing, which combines the art of living with a respect for the environment. She was trained to work with the indigo vat by the Japanese master Hiroyuki Shindo. Avani is an NGO which seeks to develop self-reliance and local know-how in remote villages in the Himalayan mountains. 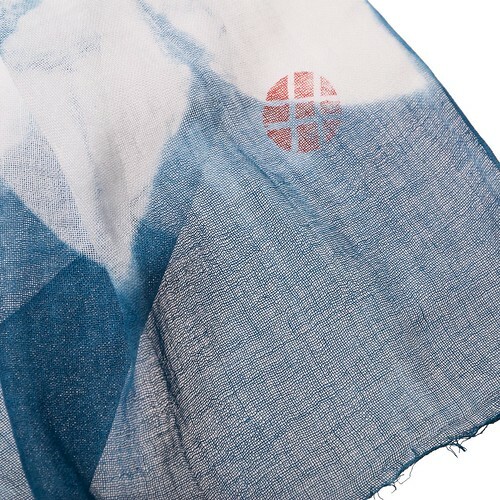 Their magnificent stoles and scarves made of wild Muga silk or wool and silk, are dyed naturally with plants in subtle harmonies of colours mixing with the natural gold of the Muga silk. The traditional dyeing factories are heated by solar energy. A great project and superb products. Delicious artisanal soaps, with no artificial colouring or parabens, 100% vegetable, perfumed with mountain or chestnut milk, spices and coffee, rose scented argan oil, jasmin scented camelina oil, cactus and citrus extract, fresh mint or lavender, black tea or orange blossom. Those perfumed with organic honey are wrapped in pretty recycled paper and stitched with white thread! Manuelle Guibal creates clothes for women who appreciate the subtleties of materials, cuts, the elegance of freedom of movement and the confort of natural fibers. 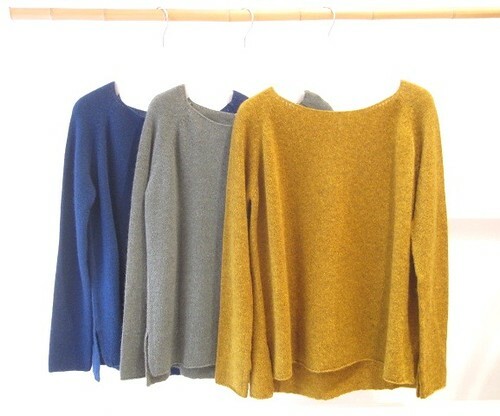 Beautiful cashmere over-sized turtleneck sweaters in intense colours or boat neck sweaters in washed tones of blue and black. One oversized very fine Mérino extra-fine tunique. 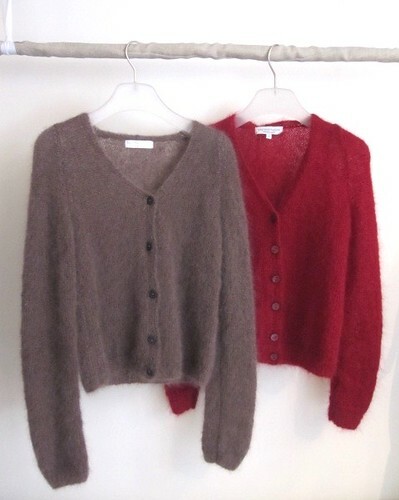 Long cardigans and sweaters in an astonishing very light and fluffy wool from Japan. 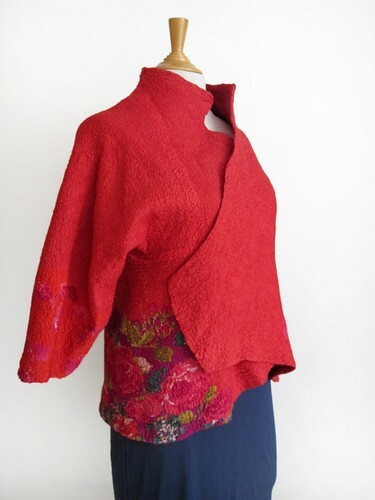 One big red cashmere pullover with an angora look. A new and very successfull brand from Japan. 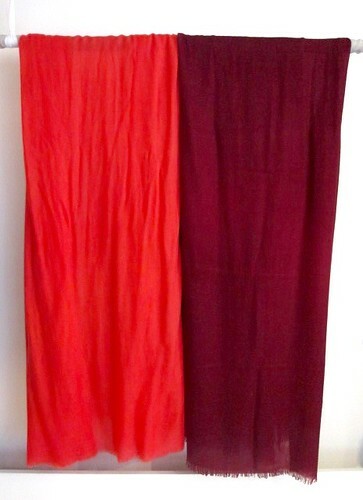 Shorts litttle cardigans and pullovers in warm red or aubergine and beautiful Ottoman skirts. And always long cardigans and oversized V-neck or buttoned sweaters. 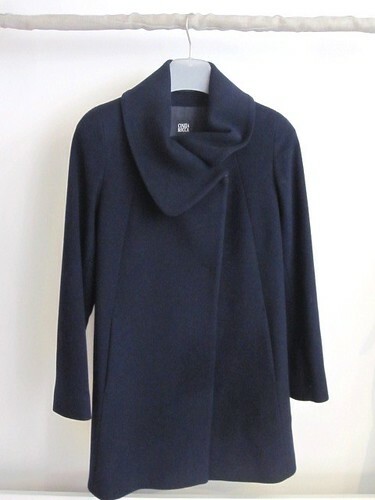 Everything in merino extra-fine wool, that has a beautiful and elegant drape. 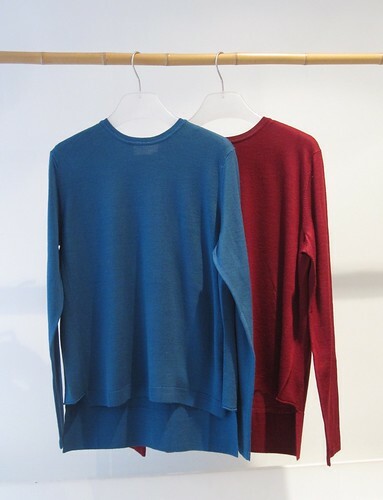 Nice and wide, printed sweaters in merino extra-fine and cashmere. A very good quality of clothing by a French brand specialized in knitwear. 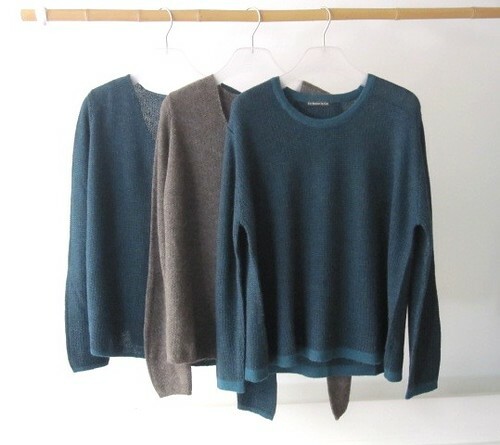 A beautiful Safran sweater, (this winter’s colour!) 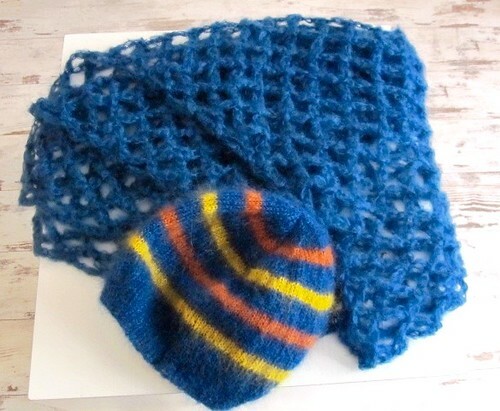 in a soft and cosy knit 100% Baby Alpaga, to which you can add a snood of the same colour. Warm and confortable jackets. 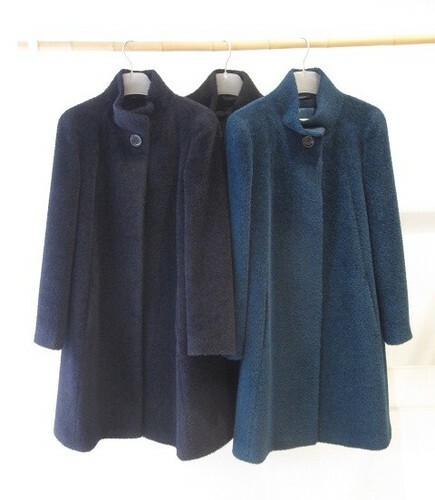 Long cardigans in which to wrap oneself during winter. 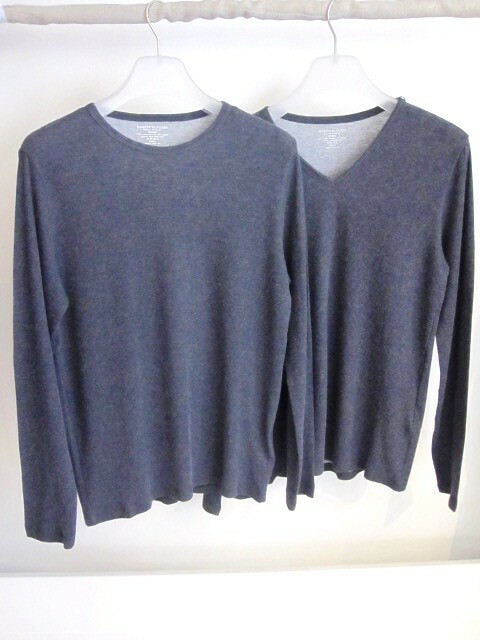 A very nice collection of 100% Baby Alpaca pullovers - V neck, or round neck in a wider shape. And always shirts and t-shirts in a soft and silky organic cotton. A modern and ethical collection. Launched in 2005, this pretty line of clothing combines know-how with social and environmental concerns. Called "Roots of Heaven" as a tribute to the novel written by Romain Gary, it combines its philosophy with a timeless style; the ever fashionable quality clothes that we like to wear all the time, stylish clothes which are like a second skin. Specialized in luxury t-shirts in beautiful, natural materials, Majestic has developed for autumn/winter, a very soft cotton/cashmere for modern and casual basics that you will love wearing every day. This winter, wide shapes with ribbing, printed designs, V necks, round necks, for all tastes! 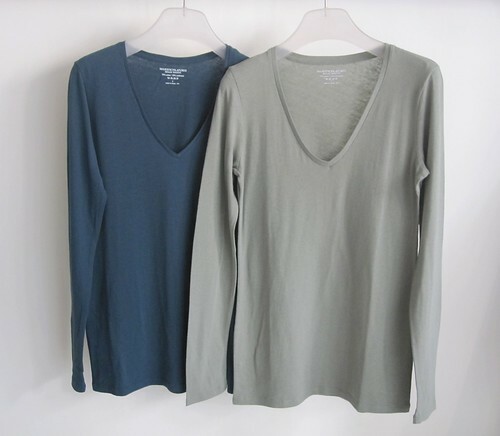 Single layer 70% cotton / 30% cashmere or double layer with cotton inside and cotton/ cashmere outside. 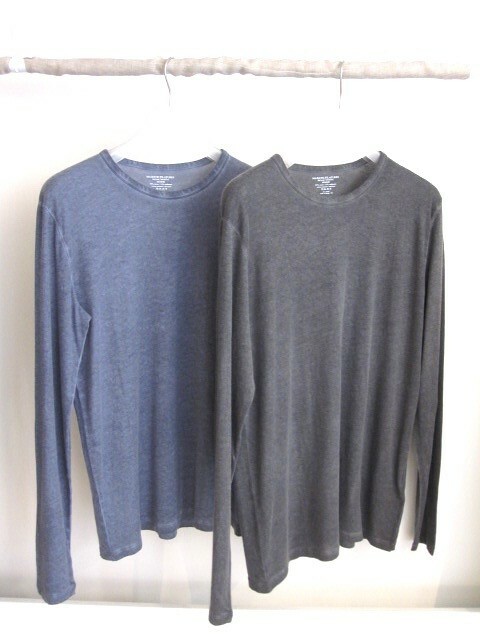 Cashmere sweaters for women, very soft and lightweight. Loose fit and flatering colours. 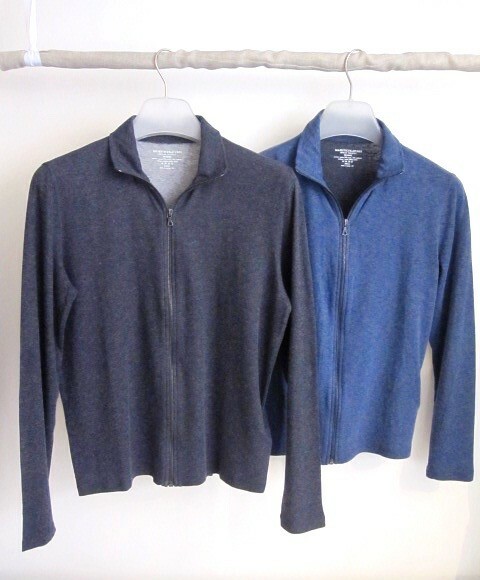 2 ziped cardigans for men, 95 % cashmere 5 % wool. Warm, soft and lightweight! Made in Italy. Ancient traditional techniques updated in order to be in phase with today’s trends, Raga Designs works with lovely fabrics and timeless cuts inspired by India. 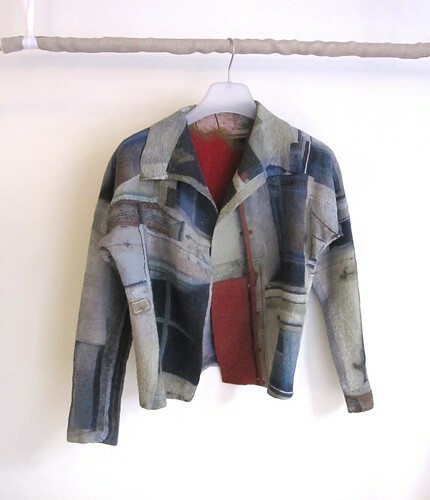 Beautiful silk shirts and quilted jackets. 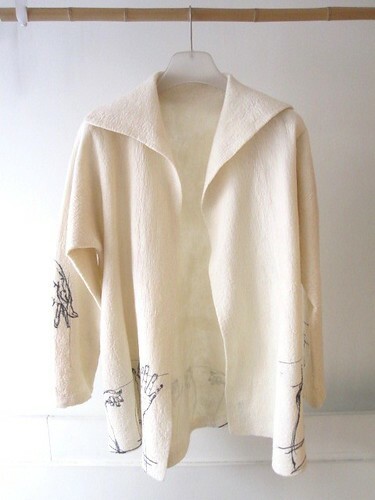 A cut little short wool jacket. 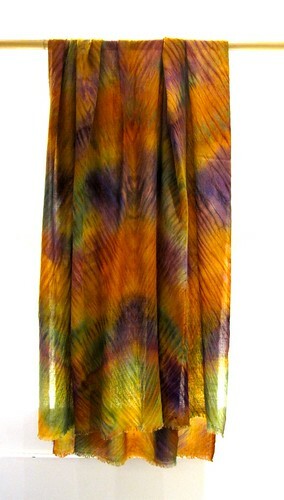 And scarves in wool or pashmina in beautiful autumn colours or deep indigos. Textile Designer passionate with research and creation, Charlotte Kaufmann questions materials in a transverse and multidisciplinary way: weaving, embroidering, bobbin lace, tuft, ceramic....Taught at L’ENSCI-Les Ateliers, for objects, than at Duperré Design School, in weaving, she places in the heart of her practice, the workshop, as experimentation field, and the gesture of craftsman. 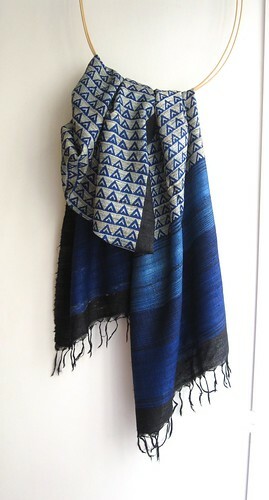 She designed and produced with Mir Art Gallery, for La Boutique Extraordinaire, a small collection of pashminas, ikat dyed, and hand woven by craftsman in the Cashmere Valley. 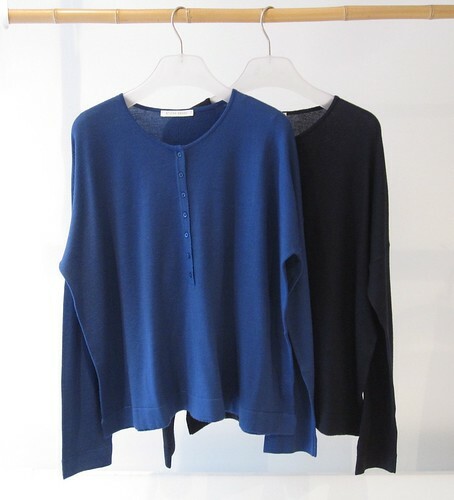 Lovely indigo blue sweater with black edges, 100% wool. Wool and silk boat-neck sweater. 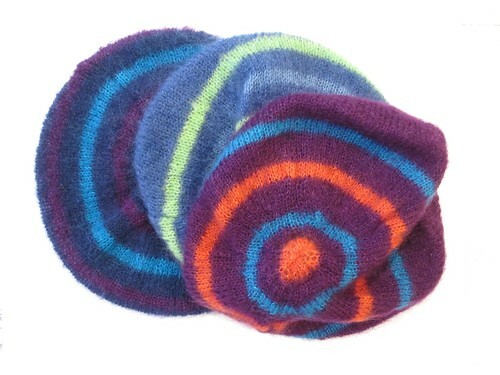 Maxi bicolour stoles 100 % wool in lightly felted knit. 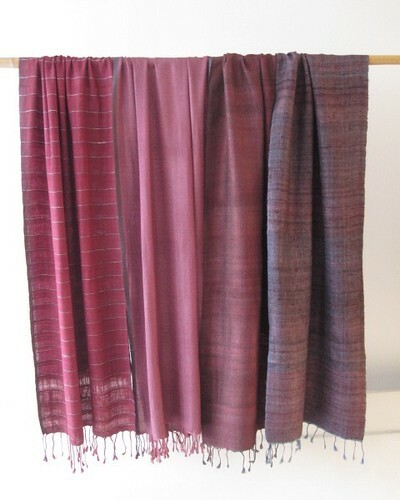 Cashmere and silk knitted stoles. 100% cashmere very light, hand-woven stoles. 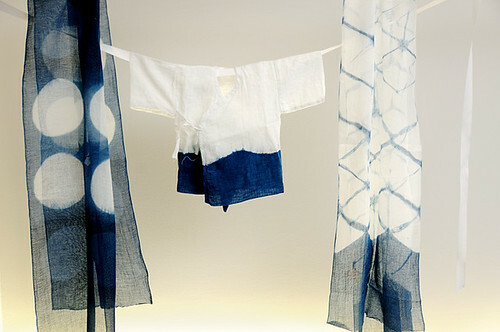 Shibori dyed or with patterns. Weaves and Blends, a Nepalese company, brilliantly combines modernity with ancestral know-how. Technical mastery, wealth and freedom of creation, the felt clothes made by Françoise Hoffmann are seductive because of their sophistication. 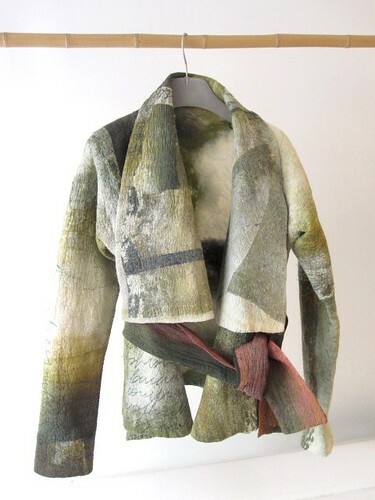 Silk embossed on felted wool, unique creations, transparency effects, juxtaposition of materials, Françoise Hoffmann has been fine-tuning her technique for years and was appointed Master of Art in 2008. 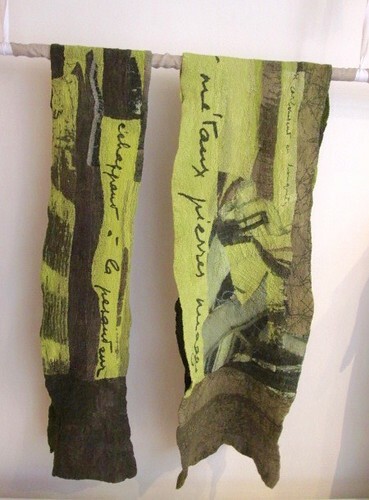 This winter, photos and texts printed on silk and a wide range of scarves and stoles. A specialist in rare animal fibres, blanket-maker in l’Isle sur la Sorgue near Avignon, Brun de Vian Tiran has been carrying on a more than 200 year-old family tradition. Stoles and scarves made from Baby Lama, Baby Camel, Cashmere, Yangir and Antique Merinos from Arles provide incomparable quality and feel. 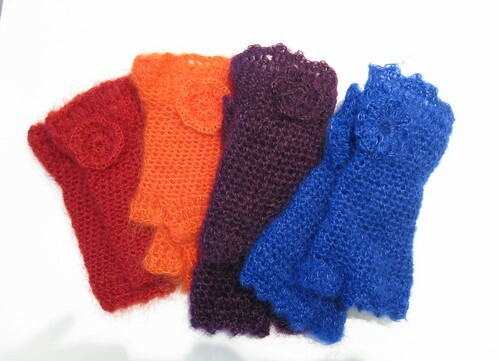 A must: Baby Lama scarves at 95 € - a comforter for winter! 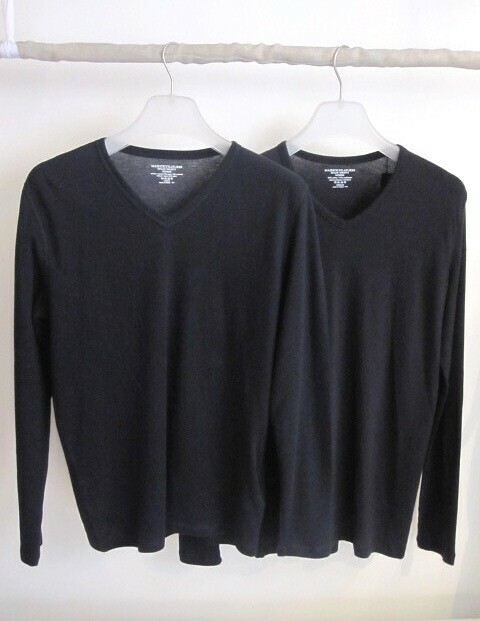 Beautiful Baby Alpaca sweaters and cardigans for Men. Simple and refined, in timeless colours. Tudo Bom is a Franco-Brazilian fair-trade brand. Exquisite collection of Japanese organic cotton towels in pastel colours, dyed with plants. From babies’ bathrobes to small hand towels at 12€. Delicious artisanal soaps, with no artificial colouring or parabens, 100% vegetable, perfumed with mountain or chestnut milk, spices and coffee, rose scented argan oil, jasmin scented camelina oil, cactus and citrus extract. Those perfumed with organic chestnut honey are wrapped in pretty recycled paper and stitched with white thread! New perfumes this winter – Black tea, Orange blossom and Verbena! Ancient traditional techniques updated in order to be in phase with today’s trends, Raga Designs works with lovely fabrics and timeless cuts inspired by India. Very attractive loose and lightweight cotton and silk shirts in shades of beiges and greens, blues and reds, white and blue, orange and pink. 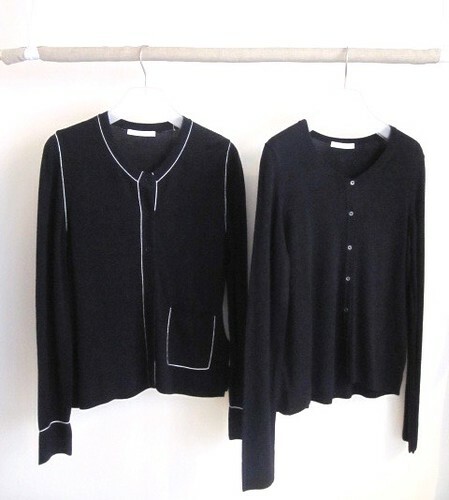 Quilted silk and cotton jackets , fresh linen tunics, white, with delicate black stripes. 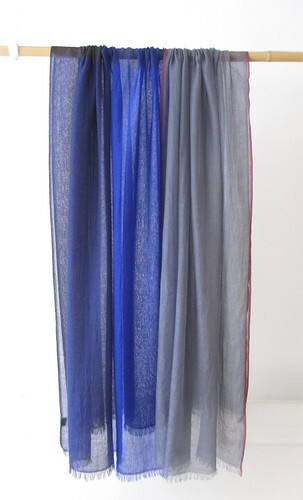 And ultra-lightweight summer dresses, lined with a veil and delicious to wear when the weather is very hot. Pretty linen articles, fresh and timeless, chic and casual – white and red shirts, summer dresses, tunics. trousers. 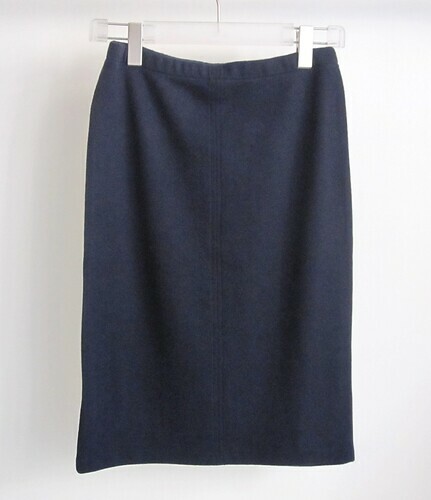 A lovely dress made from Swiss cotton and cotton trousers with a little elastane for comfort. 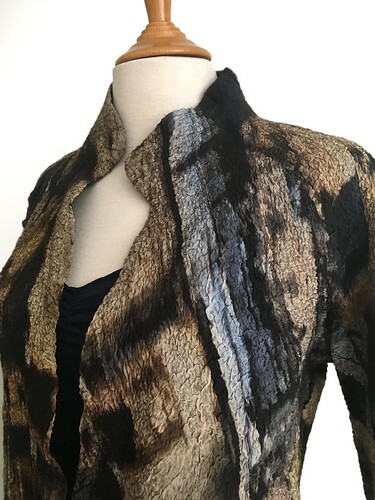 Printed sweater, round necked, cotton and silk. 100% linen t-shirts in pretty washed-out blues. The work on linen and colour for the beauty of the fibre and the Italian manufacturing for the quality of the making. Pretty shirts in washed-out colours, lovely indigo blues or red and white. Slightly shiny linen knitwear for a loose and very chic t-shirt, and pretty summer skirts. 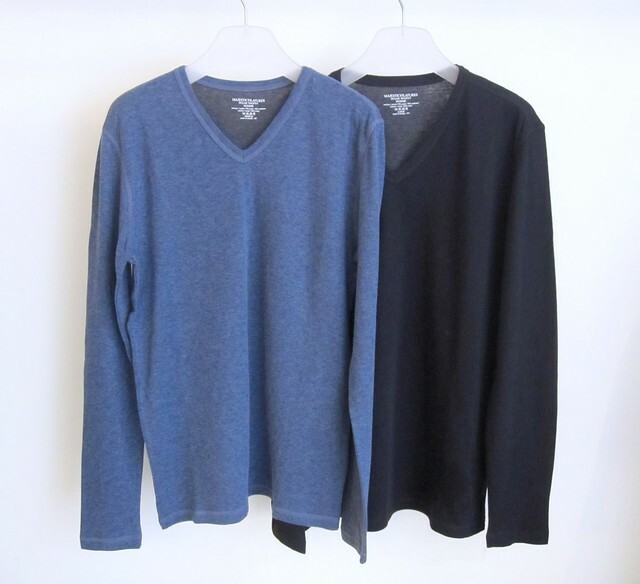 Men’s t-shirts in linen knitwear. Beautiful prints for casual chic. 100% deluxe cotton or linen and silk tank tops, ideal for summer ! Stone-washed t-shirts in linen or cotton, for Men. Manuelle Guibal creates clothes for women who appreciate the subtleties of materials, of cuts, the elegance of freedom of movement and the comfort of natural fabrics. 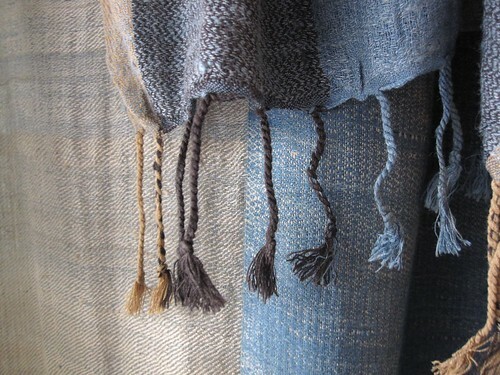 Her linen clothes in beautiful blues, greens or brick reds, are piece-dyed and made in France. Launched in 2005, this pretty line of clothing made of organic cotton and knitted linen combines know-how with social and environmental concerns. Called "Roots of Heaven" as a tribute to the novel written by Romain Gary, it combines its philosophy with a timeless style; the ever fashionable quality clothes that we like to wear all the time, stylish clothes which are like a second skin. Very good value for money for sophisticated t-shirts in superb, very gentle fabrics. Pima organic cotton, slightly silky, linen knitwear, organic cotton and silk, and Suvin cotton, the king of Indian cotton. Born of Korean origins, passionate about textiles and the mixing of Asian and European cuts, Kim Bernardin is offering us, this summer, in beautiful slightly shiny linen fabrics, loose-fitting tunics and buttonless jackets, pretty striped skirts in summer colours and a sweet little grey jacket with a collar that can be transformed. 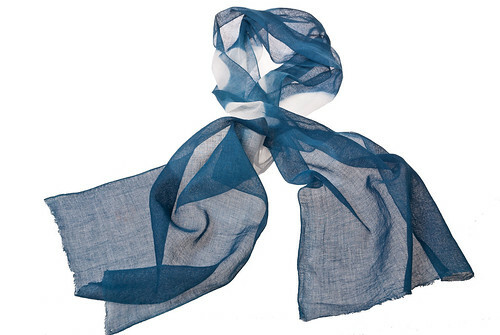 Linen scarves dyed with natural indigo, or with vegetable colouring, 50 x 170 cm, for men and women. 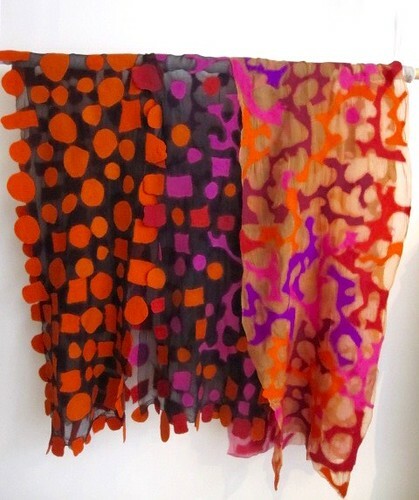 Organic cotton scarves dyed with organic pigments, 42 x 162 cm. Linen trousers in summer colours. A hemp coat, hemp voile stoles, kimonos for the newborn and cotton voile skarves. 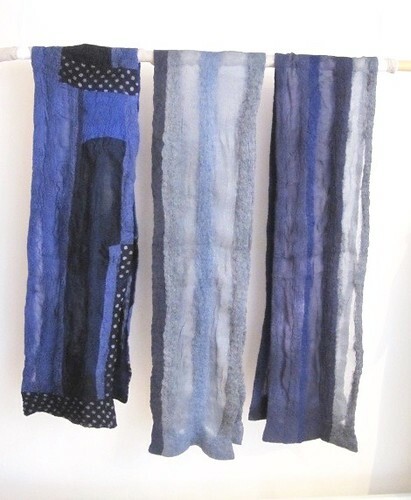 Natural fabrics hand-dyed with indigo. 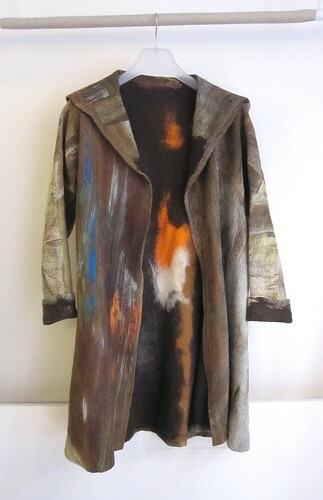 Betty de Paris gives new value, with a contemporary approach, to this five thousand year old Art of dyeing, which combines the art of living with a respect for the environment. She was trained to work with the indigo vat by the Japanese master Hiroyuki Shindo. Avani is an NGO which seeks to develop self-reliance and local know-how in remote villages in the Himalayan mountains. 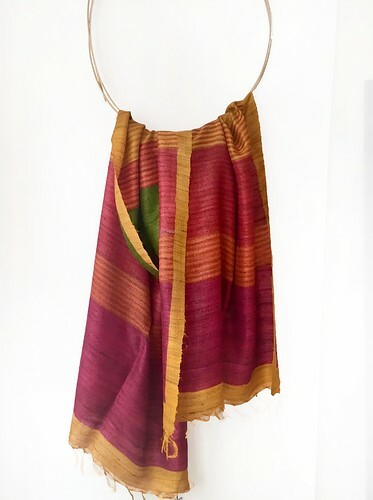 Their magnificent stoles and scarves made of wild Muga silk or wool and silk, are dyed naturally with plants in subtle harmonies of colours mixing with the natural gold of the Muga silk. The traditional dyeing factories are heated by solar energy. A great project and superb products. Verbena or rosewood linen knitwear tops, both sleeveless and with short sleeves, thick natural cotton hand knitted sleeveless sweaters. Trousers and shorts made out of lovely blue and white striped organic cotton. 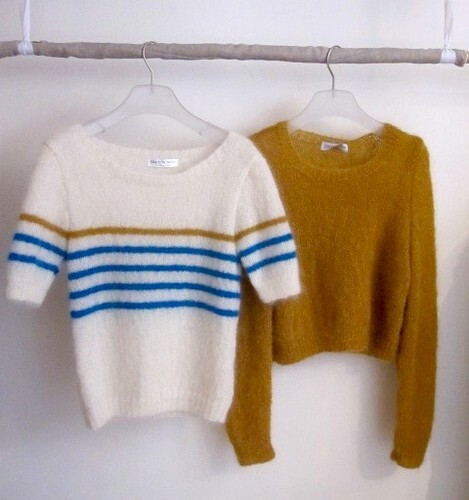 Lola Bon'Heure specializes in ethical and organic knits. She works with French producers and artisans with an ecological (saving on transport) and human (respect for the work and conservation of local know-how) outlook. Freshness and gentleness in a romantic urban spirit. 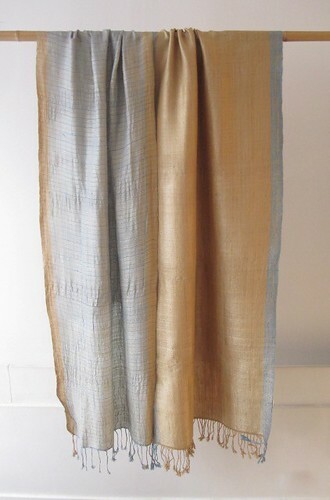 Shimmering silk trousers by Anna Ngann Yonn, a Cameroon designer. Japanese biodegradable fibre bags with a chic and playful design, in soft or bright colours. They are able to become small to fit at the bottom of a bag or very large and strong when needed. Beautiful dark blue with a black border, brick pink and sunny yellow for the new season.